Uni Education is an elegantly crafted educational theme. It is blazingly fast, extremely light-weight, search engine friendly and very easy to use. Uni Education theme is suitable for college, School, university, LMS, Training Center, Academy, Primary School, High School, and Kindergarten and various educational websites. 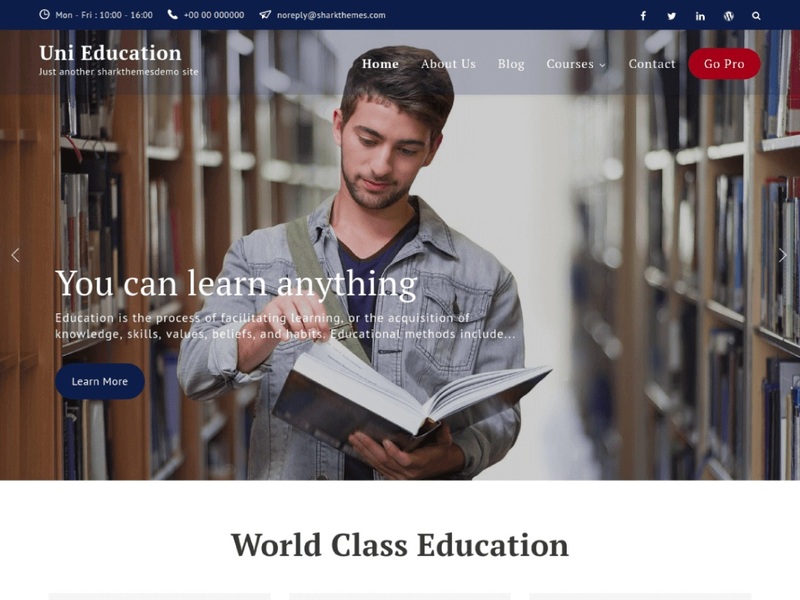 Uni Education theme has a wide list of customizable features including front page customizable sections with customizer API and widgets, wide and boxed layout and many more options. It comes with cross-browser compatibility, mobile-friendly design, and responsive features.